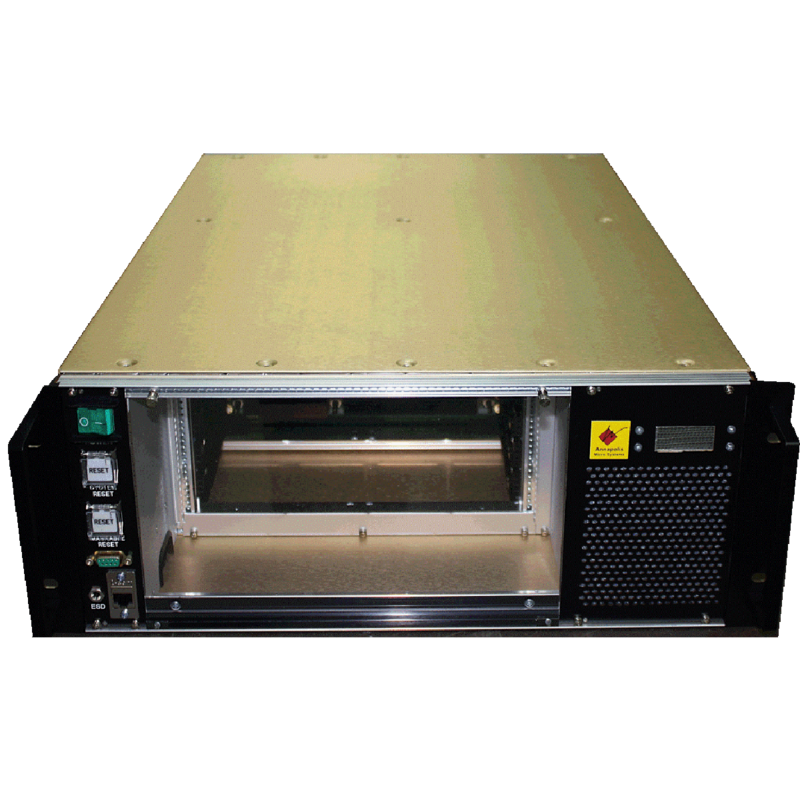 The Wild40™ Four Slot OpenVPX 6U Chassis is an OpenVPX-compatible chassis capable of accepting up to four 6U tall by 160mm OpenVPX Front Plug-in Modules (FPMs) and up to four 6U tall by 80mm Rear Transition Modules (RTMs). Plug-in Module slot spacing is 1″ except for Slot 4 which can accept Modules that are 2″ wide. The Wild40 Four Slot OpenVPX 6U Chassis is equipped with a very high performance backplane which is capable of Serial I/O signaling at rates up to 10Gbps on the Data Plane and up to 8Gbps on the Expansion Plane. The Data Plane of the backplane is arranged as a mesh between the four slots. The Expansion Plane is a chain connecting adjacent slots. 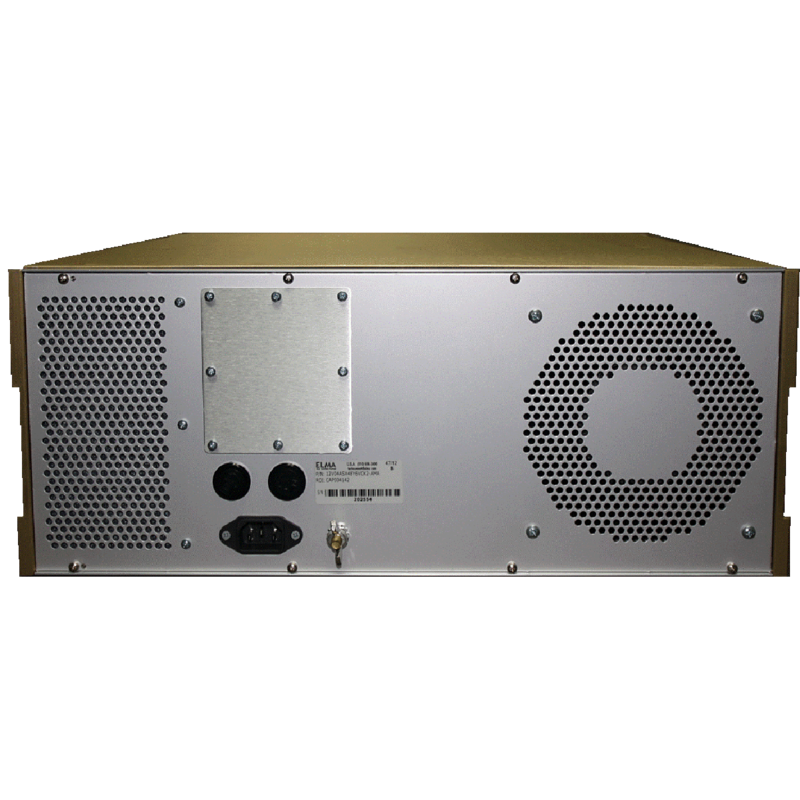 The chassis includes a Chassis Monitoring system which displays DC voltages, slot temperatures and fan Revolutions Per Minute (RPMs) on the front panel of the chassis and can be used to set fan speed. 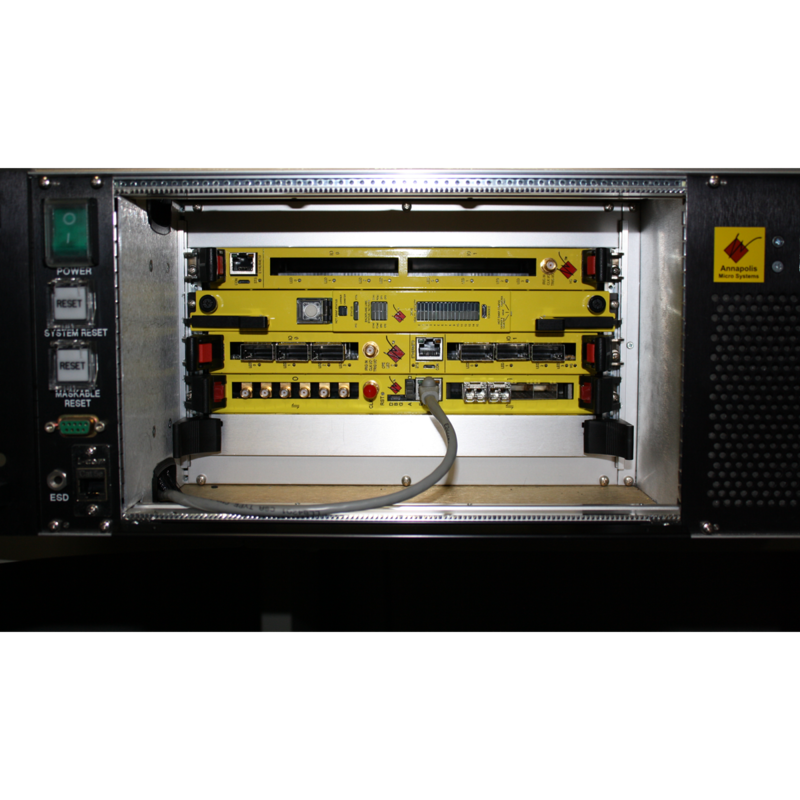 The Chassis Monitor can be accessed and controlled remotely via the Serial or Ethernet interfaces.